I suppose I could call it some form of job security, but why people at the Maine Department of Inland Fisheries and Wildlife continue to provide fodder that prompts repeated demands for accountability on my part, puzzles me. Evidently the Sportsman’s Congress, sponsored by the Sportsman’s Alliance of Maine, was the breeding ground for yet another jewel of spoken words. A century from now, Mainers will look back and say the state’s fish and game department did what it promised, vowed Chandler Woodcock on Friday. This remark, as written in Fleming’s piece, came as Mr. Woodcock addressed the Sportsman’s Congress. Part of that debate included discussions on Maine’s efforts, or lack thereof, in rebuilding a whitetail deer herd that is far from adequate. While some attempts at regulating Maine’s game began in the early to mid 1800s, it was around a century or so ago that Maine and most states in the Union were devising fish and game laws that became the backbone for the North American wildlife management model. One would have to wonder if the head of Maine’s fish and game around the turn of the century had said, “A century from now, Maine will be at a crossroads not willing to do what is right to protect and perpetuate the game species for the people of this state”, people would have thought him crazy. But here we are and the current commissioner is talking about the hope that between now and a hundred years from now the deer problem will be saved. I’m sure I will be told that Mr. Woodcock didn’t mean that it would take 100 years to replenish the deer herd. 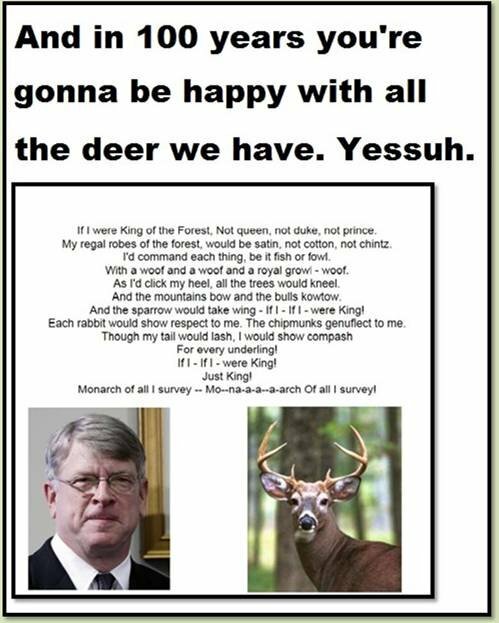 I’m also sure that the same supporters of his comments will claim that Mr. Woodcock feels so strongly about his “Plan for Maine’s Deer” that it will be the greatest thing since the Ginsu Kitchen Knife…….or something. Perhaps so, and I would suppose a quick pat on the back would be in store for attempting to raise sportsman’s hopes for the future but why would he choose to pick 100 years? I mean, how many fish and game commissioners that have come before Mr. Woodcock have left behind some kind of lasting legacy? How many can you name that we should all remember from 100 years ago? Or twenty years ago? That’s what I thought. I honestly don’t think Mr. Woodcock is thinking about his legacy, so I have to think that little thought went into his choice of making reference to a century from now. 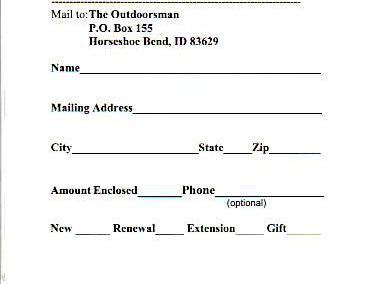 The current Maine sportsmen are looking for action NOW. They want actions NOW that will create results NOW. And then they want assurances that what we do NOW will pay off NOW and TOMORROW and the NEXT DAY, and that other plans taking place NOW will work at building and maintaining a deer herd 5 years from now and 10 years from now. And the commissioner speaks of what Maine people will be commenting on in 100 years? Are we supposed to lock up our hunting rifles now and make sure our wills are up-to-date so we pass on our hunting rifles to the proper inheritor? The Commissioner has a plan to rebuild the deer herd. I think he thinks it is a good plan and that it will work. I have serious reservations about it and even if I thought it was a good plan, how can it be implemented with little support for it statewide that is being shown now? Mr. Woodcock does need to continue to sell his plan. I’m afraid telling the sportsmen that things will be just ducky in 100 years really isn’t going to fire up the troops too much. In the book “Early Maine Wildlife” – Historical Accounts of Canada lynx, Moose, Mountain Lion, White-Tailed Deer, Wolverine, Wolves, and Woodland Caribou, 1603 – 1930 – by William B. Krohn and Christopher L. Hoving, as the reader progresses through the chronological order in which the book was laid out, a few things become clear in the debate about game animals and predators during this time frame. For instance, in recent times I have heard information being passed about by biologists within the Maine Department of Inland Fisheries and Wildlife, and others, that whitetail deer never were abundant in the northern part of the state and that moose and deer did not and could not survive together. In this claim some have said that when the deer moved north, the moose disappeared and/or when the moose were plentiful through the state, the deer were not. Accounts recorded in this book do not show that to be the case at all in my opinion when considering all written accounts. In actuality all three species of moose, deer and woodland caribou existed throughout the state together, at times very plentiful and other times not. What does become apparent is that the proclivity of more or less game animals, i.e. caribou, moose and deer, was all dependent on the presence of wolves. What remains unsettled is when, if ever, did wolves leave the state of Maine and what was the reason for their exodus? Most accounts in this book seem to agree that widespread and numerous packs of wolves in Maine had disappeared by the 1860s – 1870s, even though there are accounts of wolf encounters by people into the early 1900s. As is typical even to this day, hunters and trappers reported seeing wolf tracks many times and yet the continuing presence of wolves would not be acknowledged unless someone killed one and brought it out of the woods. The editor further accounts that even though there may be a stray wolf killed sometime into the future, his “trustworthy sources” believe the wolf is “practically extinct” in New England. 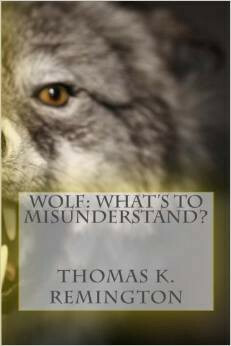 What we don’t know for certain is why the wolf became “extinct” or “practically extinct” in Maine and New England. We have been led for decades to believe that the wolves were all shot, trapped or poisoned by man. Accounts in the book don’t seem to readily agree with this hypothesis nor does it that the caribou were killed off due to uncontrolled hunting. However, the scaler’s recall of what was once is soon become reality as he wonders where the caribou went. According to several writings in this book, deer, moose and caribou had once been reduced drastically, probably from a combination of predators and uncontrolled hunting. When the wolves disappeared, the deer and moose recovered and caribou for a time before it is believed, for whatever reasons, they just migrated out of the state. Perhaps they were simply tired of being harassed by predators, including man. As I have pointed out in other parts of this review of wolves in Maine, the majority of reports all seem to agree that wolves were quite prevalent in Maine until around the year 1860, in which most also agree the wolf simply left the state with the exception of pockets of areas where some packs remained. While it is inarguable that the efforts of hunters and trappers, in conjunction with bounties being paid over 130 years and more, a sizable dent was put in Maine’s wolf population but evidence from these accounts can support the notion that this was not the cause of the final “extinction” of wolves in Maine. While some accounts in this book of “Early Maine Wildlife” say that wolves for the most part left on their own, coinciding with a time in which many accounts tell of very little game, i.e. moose, deer and caribou, this would support the theory that large predators, like the wolf, will move into an area and essentially devoid it of prey and then move on. We seem to see that here, although several wolves and packs remained behind until the late 1800s when “trustworthy sources” declared the wolf “practically extinct”. In having a better grasp of more recent coyote/wolf history in Maine, we discovered that it was not long after the wolf had become “practically extinct” that what was called the eastern coyote began populating the region. I recall in the 1960s seeing a stuffed eastern coyote that had been killed in Maine. This version of coyote was approximately 30 pounds in weight. This is a far cry from the more abundant sizes of coyotes now present in Maine, commonly reaching 50 -70 pounds in size. It has been determined that what roams today’s forests in Maine and are commonly referred to as coyotes, are actually some concocted conglomeration of mixed breeds of wolf, coyotes, and domestic dog. It became common knowledge after the influx of eastern coyote into Maine that this varmint, perhaps because of a very small migrating population, interbred with “wild” dogs or domesticated dogs left to run unrestrained. No one is sure of how the wolf mix got into these animals. It has been theorized that what was once called the gray wolf in Eastern Quebec, Canada, began migrating or random scatterings of these wolves, entered northern Maine and as such resulted in the inbreeding of the already inbred coyote/dog. Considering the evidence provided in “Early Maine Wildlife” one has to honestly consider that given the relatively short period of time from when “trustworthy sources” declared the wolf in Maine “practically extinct”, that some of those earlier wolves remained behind and began breeding with the migrating coyotes. 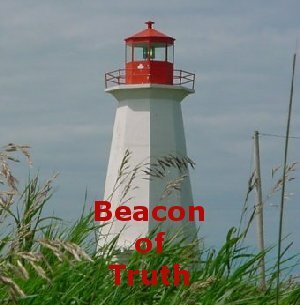 It would be intellectually dishonest not to consider all the facts in educating ourselves to the changes of wildlife, including predators and large game animals and use them to better be able to effectively manage these species. It is reasonable to consider that man’s efforts to eradicate, – and make no bones about it, that was their intent – was not wholly what drove wolves out of Maine. If this is the case, then it would be beneficial to gain facts and knowledge to understand what events total caused this to happen.